Omegaman & Friends is a wonderful organization that promotes anti-bullying awareness and features the hero Omegaman and other superhero friends. They travel around educating schools and other organizations about the dangers of bullying and teach positive habits early in life. 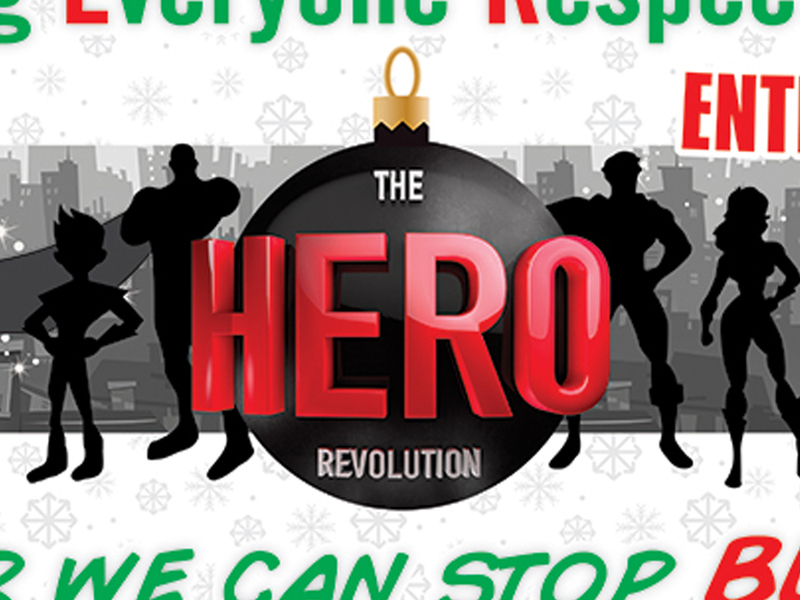 This year for the 34th Annual Lakeland Christmas parade, Mark AKA Omegaman had asked for me to design a Christmas banner promoting the HERO Revolution for their float. 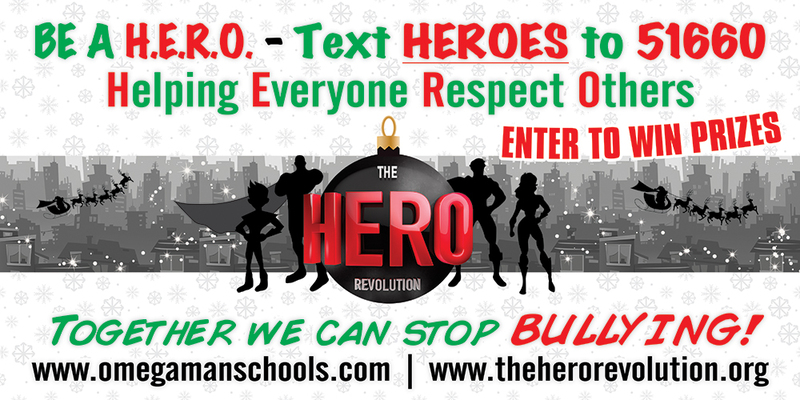 This design features “The HERO Revolution” logo modified to resemble a Christmas tree ornament. The fonts used are large for easy readability and colored with a Christmas theme of red and green. The background is a subtle pattern of snowflakes which doesn’t distract from the overall design but gives the banner a full complete look. Finally, I modified a stock image of Santa & his sleigh so that Santa would have his very own superhero cape. Node.js, GitHub Repositories, Bower, Grunt.